Yongey Mingyur Rinpoche was born in 1975 in a small Himalayan village near the border of Nepal and Tibet. 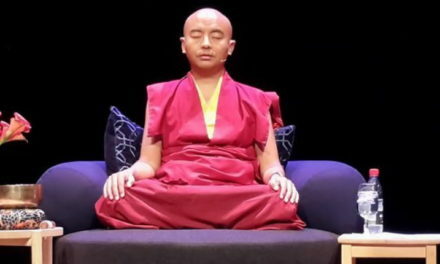 Son of the renowned meditation master Tulku Urgyen Rinpoche, Mingyur Rinpoche was drawn to a life of contemplation from an early age and would often run away to meditate in the caves that surrounded his village. In these early childhood years, however, he suffered from debilitating panic attacks that crippled his ability to interact with others and enjoy his idyllic surroundings. 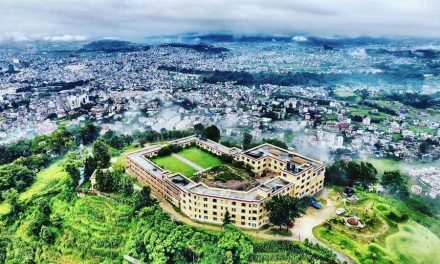 At the age of nine, Rinpoche left to study meditation with his father at Nagi Gonpa, a small hermitage on the outskirts of Kathmandu valley. 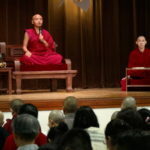 For nearly three years, Tulku Urgyen guided him experientially through the profound Buddhist practices of Mahamudra and Dzogchen, teachings that are typically considered highly secret and only taught to advanced meditators. Throughout this time, his father would impart pithy instructions to his young son and then send him to meditate until he had achieved a direct experience of the teachings. When he was eleven years old, Mingyur Rinpoche was requested to reside at Sherab Ling Monastery in Northern India, the seat of Tai Situ Rinpoche and one of the most important monasteries in the Kagyu lineage. While there, he studied the teachings that had been brought to Tibet by the great translator Marpa, as well as the rituals of the Karma Kagyu lineage, with the retreat master of the monastery, Lama Tsultrim. He was formally enthroned as the 7th incarnation of Yongey Mingyur Rinpoche by Tai Situ Rinpoche when he was twelve years old. When Mingyur Rinpoche turned thirteen, he begged both his father and Tai Situ Rinpoche for special permission to enter the traditional three-year retreat that was set to begin at Sherab Ling Monastery. It was highly unusual for someone so young to make such a request, but they both consented and soon Mingyur Rinpoche began his retreat under the guidance of Saljey Rinpoche, a learned and experienced meditation master who had spent half of his life in strict retreat. During the next three years, Mingyur Rinpoche practiced the preliminaries, which prepare the meditator for advanced contemplative practice; the development stage, which uses visualization and sacred sounds to transform the processes of ordinary perception; the completion stage, which involves working with the subtle energies of the body; and Mahamudra, a form of practice that allows the meditator to directly experience the luminous clarity of the mind’s true nature. 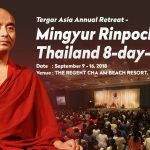 The great diligence that Mingyur Rinpoche demonstrated throughout the retreat resulted in his attaining an extraordinary level of mastery over the mind and emotions. At this time, he completely overcame the panic attacks that had troubled him as a child, discovering first-hand how meditation can be used to deal with challenging emotional problems. When Yongey Mingyur Rinpoche completed his three-year retreat, his beloved teacher Saljey Rinpoche passed away, leaving vacant his key position at Sherab Ling monastery. To replace him, Tai Situ Rinpoche appointed Mingyur Rinpoche as the monastery’s next retreat master, making him responsible for guiding senior monks and nuns through the intricacies of Buddhist meditation practice in the next three-year retreat. The seventeen-year old Mingyur Rinpoche was one of the youngest lamas to ever hold this position. Mingyur Rinpoche continued to receive important transmissions from his father and Khenchen Thrangu, an important Kagyu lama. When he was nineteen, he enrolled at Dzongsar Monastic College, where, under the tutelage of the renowned Khenpo Kunga Wangchuk, he studied the primary topics of the Buddhist academic tradition, including Middle Way philosophy and Buddhist logic. When he was twenty years old, he was appointed by Tai Situ Rinpoche to be the functioning abbot of Sherab Ling. In his new role, he was instrumental in establishing a new monastic college at the monastery, where he worked as an assistant professor while simultaneously carrying out his duties as retreat master for a third three year retreat. Throughout this period, which lasted until he was twenty-five, Rinpoche often stayed in retreat for periods of one to three months while continuing to oversee the activities of Sherab Ling Monastery. When he was twenty-three years old, he received full monastic ordination from Tai Situ Rinpoche. 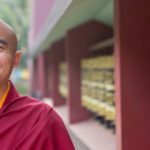 In the years that followed, Mingyur Rinpoche continued to study the five traditional subjects of the Buddhist tradition (Madhyamaka, Prajnaparamita, Abhidharma, Pramana, and Vinaya), in addition to other important topics. He also continued to refine his meditative realization through daily practice and periodic solitary retreats. 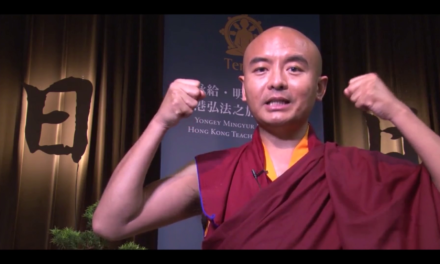 To this day, Mingyur Rinpoche continues his own study and meditation. More recently, he received important Dzogchen transmissions from Kyabjé Trulshik Rinpoche, including the Transmitted Teachings of the Nyingma School (Nyingma Kama) and Fourfold Heart Essence (Nyingtik Yabshi). 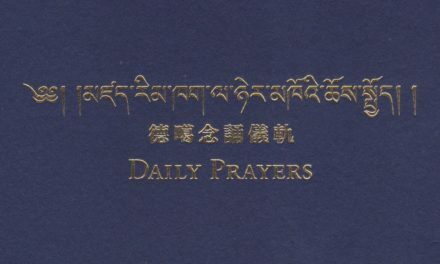 He also participated in transmissions of Jamgon Kongtrul’s Treasury of Precious Treasures (Rinchen Terdzö) and Treasury of Instructions (Damngak Dzö), which took place at Sherab Ling Monastery. 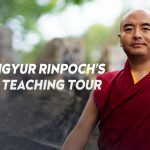 In addition to his extensive background in meditation and Buddhist philosophy, Mingyur Rinpoche has held a lifelong interest in psychology, physics, and neurology. At an early age, he began a series of informal discussions with the famed neuroscientist Francisco Varela, who came to Nepal to learn meditation from his father, Tulku Urgyen Rinpoche. 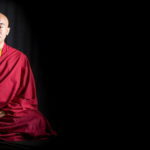 Many years later, in 2002, Mingyur Rinpoche and a handful of other long-term meditators were invited to the Waisman Laboratory for Brain Imaging and Behavior at the University of Wisconsin. There, Richard Davidson, Antoine Lutz, and other scientists examined the effects of meditation on the brains of advanced meditators. The results of this groundbreaking research were reported in many of the world’s most widely read publications, including National Geographic and Time. Follow-up studies were carried out at Harvard University, MIT, and other important research centers. Rinpoche continues his involvement with this research and contributes actively to the vibrant dialogue between Western science and Buddhism. He is an advisor to the Mind and Life Institute and participates as a research subject in the ongoing studies of the neural and physiological effects of meditation. Rinpoche’s teaching style has been deeply influenced by his knowledge of science. He is especially well-known for his ability to enrich his presentation of the ancient insights and practices of Tibetan Buddhism with the findings of modern science. It is his hope that the emerging relationship between these seemingly disparate fields will yield key insights to help us realize our full human potential. In addition to his responsibilities at Sherab Ling Monastery, Mingyur Rinpoche is the abbot of Tergar Osel Ling Monastery in Kathmandu, Nepal, and Tergar Rigzin Khachö Targyé Ling Monastery in Bodhgaya, India. He also teaches regularly throughout Europe, North and South America, and Asia, where he leads a growing number of Tergar Meditation Centers and Meditation Groups. Rinpoche is an internationally-acclaimed author. His first book, The Joy of Living: Unlocking the Secret and Science of Happiness, debuted on the New York Times bestseller list and has been translated into over twenty languages. His second book, Joyful Wisdom: Embracing Change and Finding Freedom, explores how difficult emotions and challenging life situations can be used as stepping stones to discover joy and freedom. 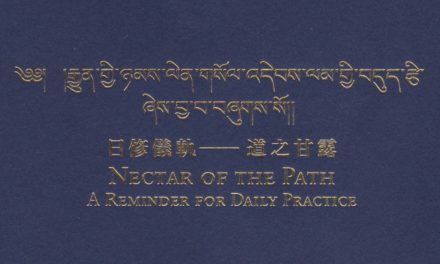 Turning Confusion Into Clarity: A Guide to the Foundation Practices of Tibetan Buddhism, gives detailed instruction and inspiring advice for those embarking on the Tibetan Buddhist path in earnest. Mingyur Rinpoche has also written an illustrated children’s book, entitled Ziji: The Puppy that Learned to Meditate. View more at /rinpoches-books. 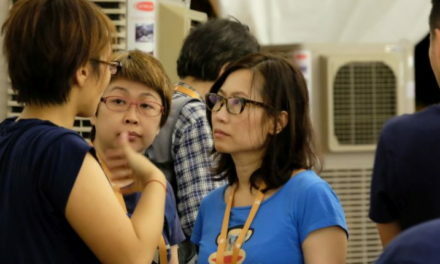 One of Mingyur Rinpoche’s greatest passions is bringing the practice of meditation to people from all walks of life. He is working with professionals from a wide range of disciplines to adapt his Joy of Living retreats for use in different contexts, including hospitals, schools, prisons, and leadership training. 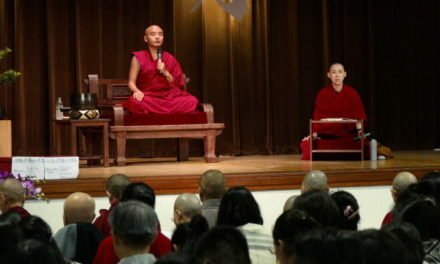 As part of this effort, he is developing programs to train facilitators and instructors to teach the practice of meditation in these varied settings. In early June, 2011, Mingyur Rinpoche walked out of his monastery in Bodhgaya, India and began a “wandering retreat” through the Himalayas and the plains of India that lasted four and a half years. When not attending to the monasteries under his care in India and Nepal, Rinpoche spends time each year traveling and teaching worldwide. For more information, email asia@tergarasia.org.